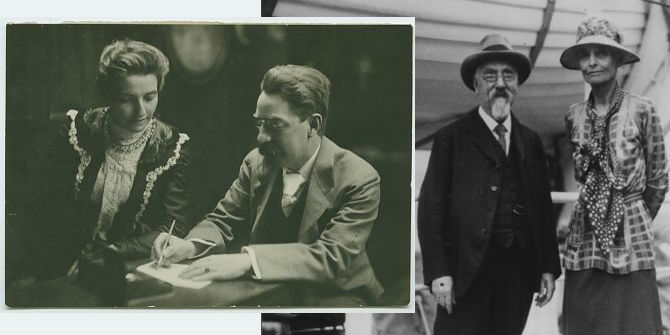 Meet two of LSE’s famous founders, social reformers Beatrice and Sidney Webb. 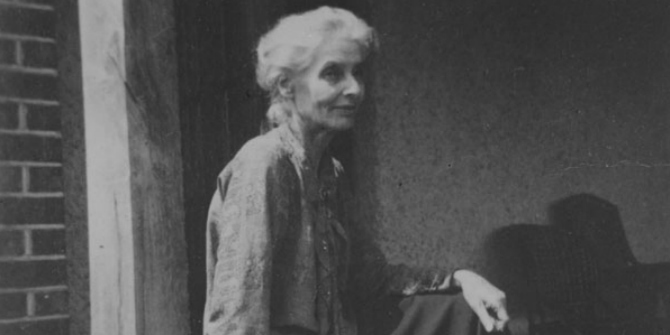 Blog editor Hayley Reed introduces Beatrice Webb (1858-1943), one of the four founders of the London School of Economics and Political Science. 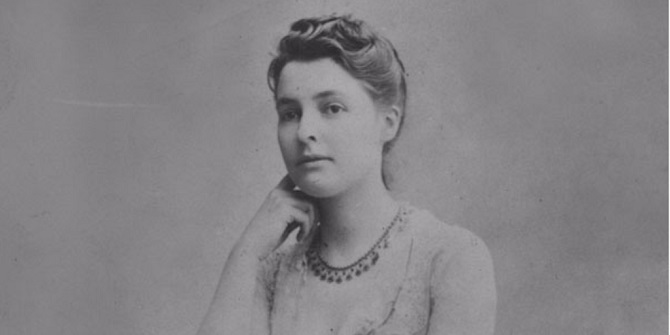 Born 22 January 1858, Beatrice Webb (nee Potter) became a leading social reformer, Fabian Society member, co-founder of LSE and prolific diarist. 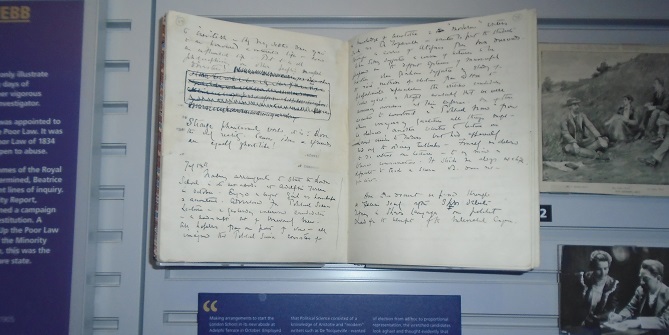 Her diaries are available at the LSE Digital Library. 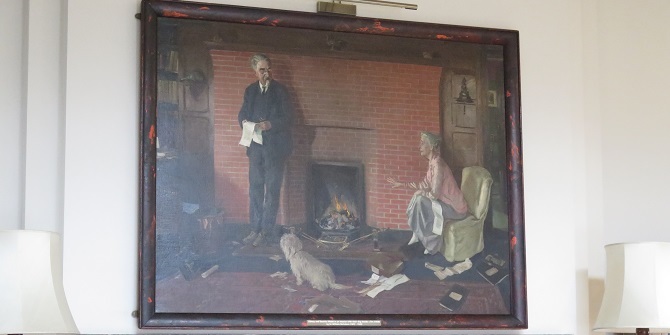 Featuring two of LSE’s founders, the Webb portrait hangs above the fireplace in the Shaw Library. LSE Archivist Sue Donnelly tells the story of Sidney and Beatrice Webb at Passfield Corner by William Nicholson. 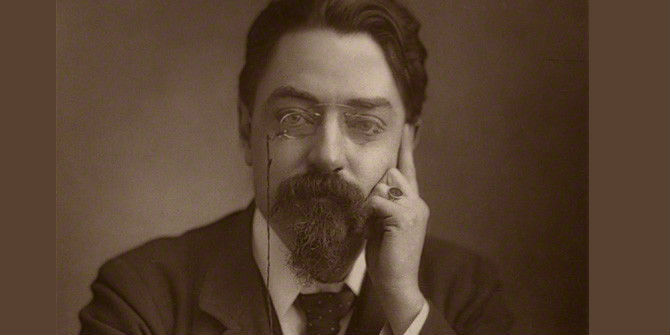 Beatrice Potter and Sidney Webb married on 23 July 1892. 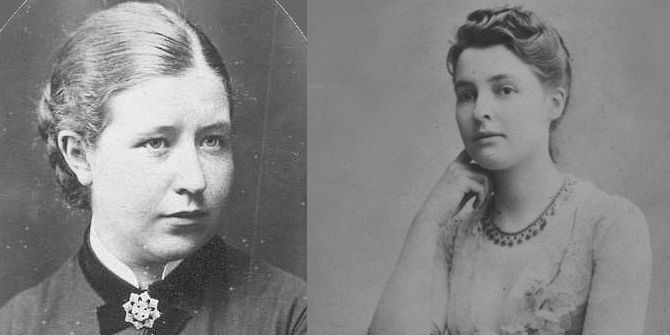 On their wedding anniversary, LSE Archivist Sue Donnelly looks back at their unique courtship. LSE’s Library, the British Library of Political and Economic Science, opened in November 1896. 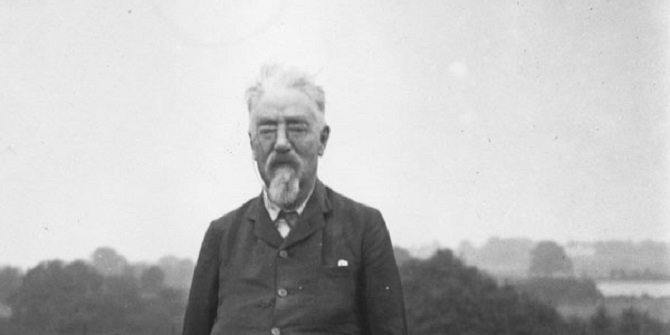 In the second of a series of posts celebrating LSE Library’s 120th anniversary in 2016, Graham Camfield shares the little-known story of Sidney Webb the bibliographer. Inderbir Bhullar, LSE Library, shares the story of the women behind Charles Booth’s Survey of London. 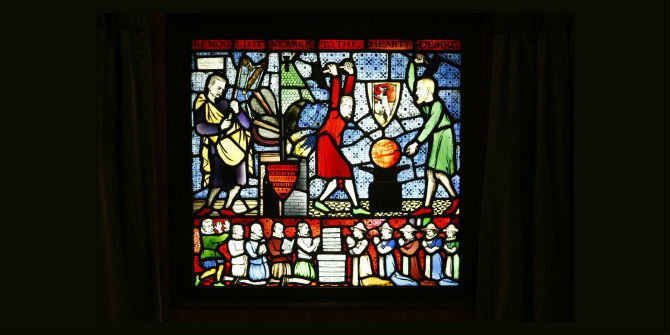 Posts about LSE’s Library explore the history of the Library and its collections. ‘Foundations: LSE and the Science of Society’ LSE Library exhibition is a great introduction to the history of LSE’s foundation, from concept to realisation. It also details some of the personal achievements of notable individuals such as Malinowski and Beveridge. Eleanor Payne, LSE Library, has been giving lunchtime talks in the exhibition this term and shares with us her favourite item from the exhibition. LSE Archivist Sue Donnelly introduces the early years of LSE founder Sidney Webb. He grew up in the West End and became a broker, entered the civil service and studied for the bar before joining the Fabian Society. LSE accepted women students from its earliest days. 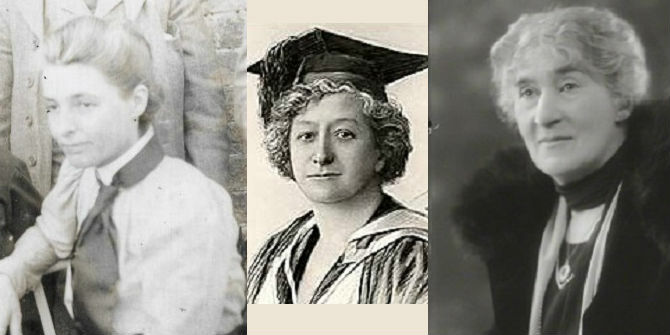 For Women’s History Month 2015, LSE Archivist Sue Donnelly takes a look at the women who stood at the front of the classroom during the early years of the School. 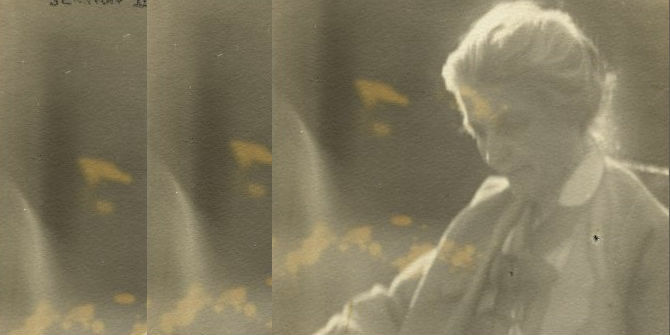 Beatrice Webb’s early years began with a childhood in Gloucestershire. She combined care of the family once her mother died with a burgeoning career in social investigation. LSE Archivist Sue Donnelly introduces Beatrice Webb’s early years.